FinovateSpring 2015 has sprouted! Check out our first Sneak Peek, featuring 7 presenting companies. Backbase adds Payveris’ suite of payment APIs to the Backbase Open Banking Marketplace. Evans Bank to deploy core banking technology from FIS. Xignite teams up with ChartIQ to launch new market-data widgets. Heckyl Technologies featured in e27’s list of 10 ‘need-to-know startups’ in Singapore and India. Backbase adds MX’s PFM and account aggregation to the Backbase Open Banking Marketplace. Wharton Fintech blog: How Betterment is Redefining the Retail Investment Landscape. Heckyl to provide real-time news and data analytics courtesy of new partnership with Marketware International. Diebold brings deposit automation and cash recycling services to consumers and FIs in Brazil. See Diebold at FinovateFall in September. Dwolla makes MassPay official, offers a simpler experience with increased stability, improved reporting, and increased transactions per batch. PYMNTS talks with SumUp CEO Daniel Klein, to understand how it views innovation in the mPOS space. PayPal launches tool, PayPal Demo, to help developers show merchants the difference between different PayPal payment options. CNBC’s National Business Report interviews Scott Goldman, CEO of TextPower. American Banker profiles FinovateSpring 2014 Best of Show winner, Stockpile. CNET takes a look at Lending Club in the wake of the company’s IPO filing. Expensify’s new mobile release now lets you use the Wingman feature on your phone. InComm launches mobile platform for mobile wallet providers and merchants. Heckyl opens for business in London. Cortera launches new receivables management tool, Cortera Open Receivables. Pymnts.com interviews Chris Larsen on how Ripple Labs simplifies B2B payments. Wallaby Financial teams up with CreditCards.com to launch WalletUp. 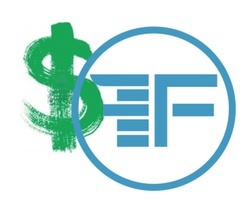 FutureAdvisor raises more than $15 million; seeks to grow team. Fiserv to participate in University of Connecticut Business School’s Financial Accelerator Program. Credit Sesame earns spot on the 2014 Red Herring Top 100 Most Promising Companies list for North America.